Nothing says winter quite like a scarf that’s big enough to double as a quilt on your bed, right?! Honestly, though, blanket scarves are probably the best combination of style and practicality. Cool and chic, warm and comfortable – you just really can’t go wrong. You’ll find that they are also versatile and perfect for a variety of outfits. Here’s 5 different looks that will show you how to wear a blanket scarf right now. If you’re thinking about how to wear a blanket scarf, start with something simple. 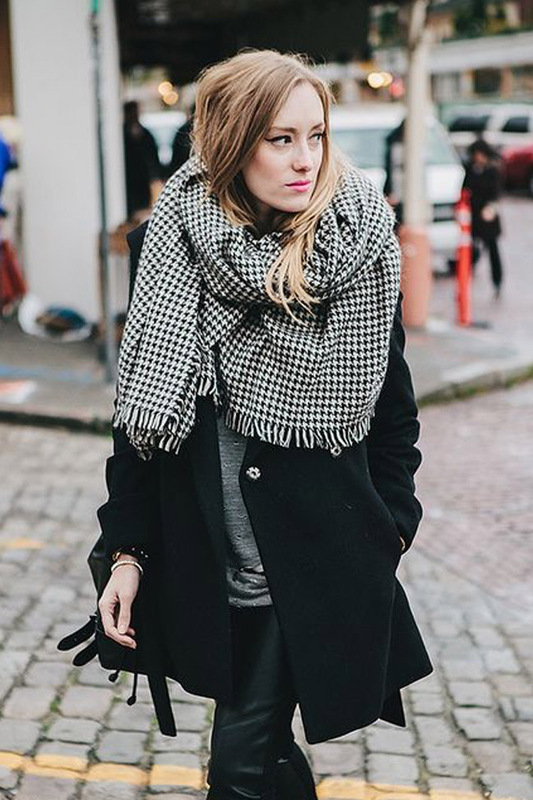 This look is probably the most classic way to wear a blanket scarf. Bundle it up around your neck, and you’re set. Some people might call having a giant blob of fabric around your neck “excessive” and “unnecessary”. However, I prefer reframing that as “cozy”, “stylish”, and “totally 100% necessary”. Wearing a blanket scarf as a poncho (shawl? cape? the lines are just so blurry) is one way to rock the look without actually wearing it as a scarf. This particular look could easily be dressed up, too, and is perfect for work… my office always gets cold, and styling a giant scarf like this allows me to basically be wearing a blanket, but one that’s, you know, more socially acceptable in public. I love the vest-like silhouette that belting an oversized scarf creates. Not only does it add a layer without much bulk, but it’s extremely flattering, too. 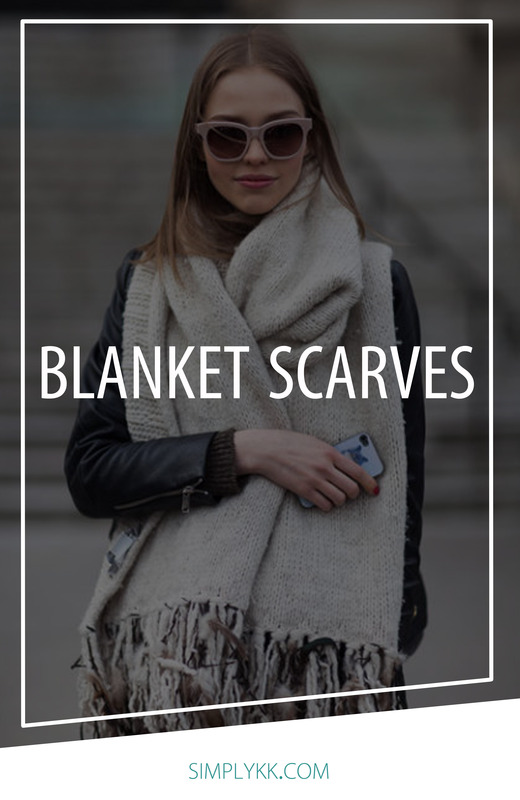 Plus, it’s a streamlined way to wear a blanket scarf when you avoid the bundling around your neck. This option is one of those “best of both worlds” scenarios. You get part of the bundle look, and part of the unwrapped look. Also, there’s something about this way of wearing an oversized scarf that is extra effortless. You know, it’s got the whole “oh I just casually tossed this trendy scarf over my shoulder and I know it looks fabulous” thing going for it. I’m convinced this scarf option here is more blanket than scarf, but how COZY is this look! If you’re looking for another simple, straightforward way to rock the blanket scarf, just wear it unwrapped. The length it brings to your look adds an extra dimension, and becomes such a statement piece that once you throw it on, your outfit is good to go.